Ward’s was probably the first to sell guitars through its catalogs. Aaron Montgomery Ward started his company in 1872 as a solution to the problem of farmers obtaining the items they needed to make life more palatable out on the Great Plains. At the time, the farmer’s only source for household goods was the general store. And their only source of merchandise was the railroads, who charged an arm and a leg. To combat the high prices, the farmers joined to form buying clubs and put together lists. A representative would take it to the big city to buy the stuff and ship it back in one big container. Lot’s cheaper. Ward’s idea was to return to Chicago and put the lists together for them by assembling a catalog and sending it to the farmers direct. Ward’s concept was so successful that Richard Sears and Alvah Roebuck decided to compete head-to-head with them, starting Sears, Roebuck & Co. in 1893. Sometime between Ward’s founding and Sears’ first catalog in 1894 Ward’s began selling guitars. There’s a guitar offered in Ward’s 1894 catalog with a woodcut and some copy. That very SAME woodcut and copy appears in the first Sears catalog! Sears sold increasing numbers of guitars as the years progressed, obtained from various sources, including Lyon & Healy, Oscar Schmidt, and the Harmony Company. In 1916 Sears purchased Harmony to supply the majority of its stringed instruments, which began appearing carrying the Supertone brand name in 1917. While it was a subsidiary of Sears, Harmony was still free to sell its own brand independently and to make guitars for other companies. 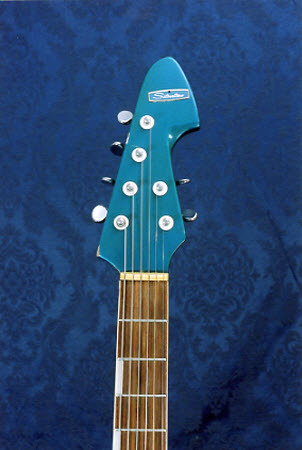 Sears, for its part, mainly relied on Harmony for its guitars, except occasionally when a specialty model was sourced from someone else. In 1940 Sears sold Harmony to its president Jay Kraus, after which it operated pretty much as before, with Sears as its main customer, with the Sears brand name changed to Silvertone. Sears had branched out into retail stores in 1925. 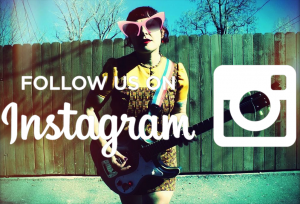 By the 1960s, when this guitar was made, Sears was the largest retailer in the U.S. Throughout the 1960s the guitars featured in the Sears catalog were exclusively American-made, mostly by Harmony. However, obviously, as evidenced by the very existence of this guitar, they also sold guitars made in Japan, only just through their retail store outlets. This Silvertone is a Model 1437, otherwise known as a Teisco WG-4L. 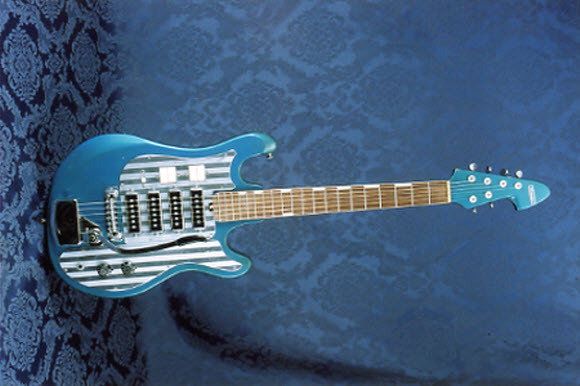 Except for the logo, it’s a completely stock Teisco. 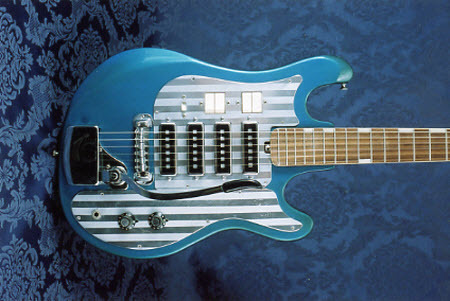 The Teisco company was founded in Japan in 1946 by Atswo Kaneko and Doryu Matsuda. Teiscos were distributed within Japan and probably regionally until the end of the 1950s, when exporting to the U.S. commensed. The first known American importer was the late Jack Westheimer whose Westheimer Sales Corp. began importing Kingston acoustic guitars from Japan in 1959, followed either later that year or early in 1960 by Teisco electric guitars. Jack added the “del Rey” most often seen on these guitars. In around 1964, Sil Weindling, Barry Hornstein, and Sid Weiss formed Weiss Musical Instruments (W.M.I.) and began importing Teisco Weiss guitars. Westheimer’s focus had shifted toward his Kingston brand, so W.M.I. sort of took over the Teisco franchise. The WG line debuted in 1964 with a plain pickguard, changing over to the very groovy striped metal ‘guard in 1965. W.M.I. undoubtedly provided this guitar to Sears. 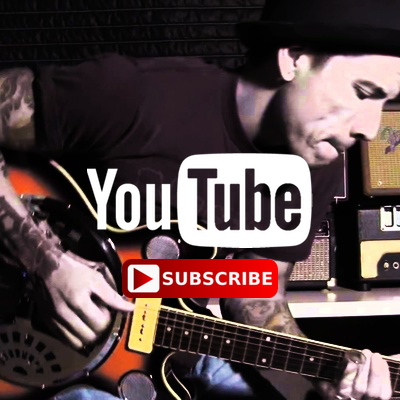 There’s nothing not to like about this guitar! I mean, how could you resist the look of that pickguard?! And metallic blue paint! Plus four—count ‘em—four chunky single-coil pickups. And I love those typically Teisco rectangular adaptations of Gretsch’s thumbprint inlays. As with almost all better Japanese solidbodies from the 1960s, with just a little attention this can be set up to play quite nicely. The neck is a little hefty for a modern taste, but then so were many others back then. To be honest, you don’t really get that much tonal variety out of four pickups, but it’s still way, way cool. Perfect for a chorus or two of Walk, Don’t Run or Apache! By the 1970s, Sears was finally featuring Japanese-made guitars in its catalog, but the Sears hegemony was waning, replaced by emerging “big box” retailers such as Kmart. The catalog soldiered on into the 1990s, but its value as a source for interesting guitar—or lingerie—information was long past. Ah! Schecter totally stole that headstock on some of its models. I actually own one of these. Dad worked at Sears, it was brought in for repair a couple of times and the Sears techs could not fix it. Dad bought it for $1,per Sears policy, but he got it working. I found it in the attic when I was 14 in 1975,and after teaching myself to play for a few weeks whined that a new guitar would sound better. Dad told me if I kept with it for a year, he would but me a new rig. A year later, dad bought me a 76 Ibanez LP and a Fender Twin Reverb. I don’t think I ever played the Silvertone after that. Reading this, I think I’ll take it to the local luthier and get it back in shape. Thank for a great article and flasback! I got one of these for Christmas in 1965-66. It was ripped off in 1971 and taken to Panama City Fl. I just found one in “Like New” condition after all these years. I remember how much this Guitar was and now that I am sixty years young I can relive some of those childhood memories. Oh, the memories! My first guitar was this model, in red. It was a Christmas present around the time I was 9 or 10 years old. 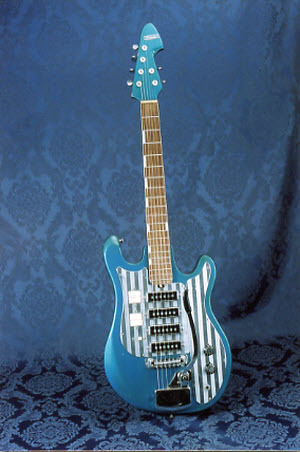 It carried the Teisco badge on the headstock. Regrettably, I sold it at a garage sale several years ago. Dad also bought me a Sears Silvertone amp, which I still have to this day . . . love that old tube amp with its “organic” distortion. I’ve just bought one of these(two pickups version)last summer:great guitar with surprisingly good tones for…jazz! How this guitar ended up in France?that’s a mystery,it’s badged silvertone and not teisco,so sold in the US by the time i was born(we’re both 50)Someone might bought it on a trip to America;iback then the electric guitars market in Europe was rather reduced. the neck is OK to me,just the scale a bit short,more used on 25.50 on this type of guitars(see fenders)It reminds me a little bit the Italian production of these days.Well nice feelings,let the good times roll !! My great grandfather had got this guitar from a friend. He then gave to my grandmother. Who gave it to my aunt. Who gave it to me. It is in semi-new condition. I still have a cream color version of this guitar since I was about 13. I had my neighbor electronic genius hook up a input jack in a old dual cabinet record player/radio sroreo unit for a amp, sounded good had a natural distortion. I banged on that silvertone for couple years till I got old black strat copy. 60 years old now, I think I might just have to clean her up restring it and bring back some ol memories. I have one of these that I’m looking to get rid of. I have no idea if the electronics work, and it’s missing the whammy bar. I have pictures of the condition, etc – just curious realistically what I sell it for. I’ve seen people strip them for parts & such, but wasn’t sure if it was something collectible that someone would grab for their wall, or to fix up & play.